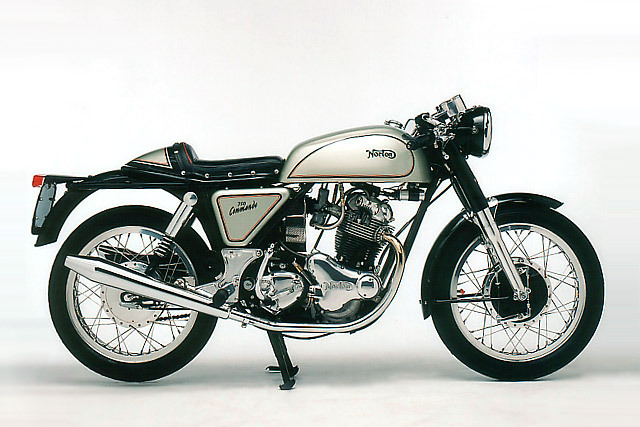 This pretty little thing is named 'Lucy' and she is the 15th café racer built by Hot Sake Cycles in Orlando, Florida. We were surprised we hadn't heard of them before, but that's probably because ‘they’ are actually a single guy named Shannon Hulcher who builds these professional-looking bikes in his spare time. By day he works as a biology teacher who dissects frogs to show kids how the body works. 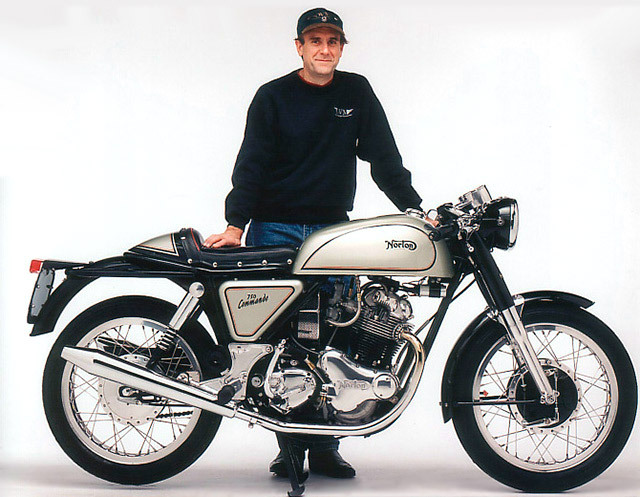 By night, he dissects motorcycles to show the rest of us how to build a café racer. "I don't have a professional shop" says Shannon. "Lucy is a culmination of skills I've been developing over the years". I wanted to build an ultra light weight bike that would be fun to ride. The whole goal was to make it as light as possible" he says. He started the build with no deadline, but then Cafemoto Orlando asked him if he could finish it for the AIM Expo. With the show only one month away, Shannon got to work. 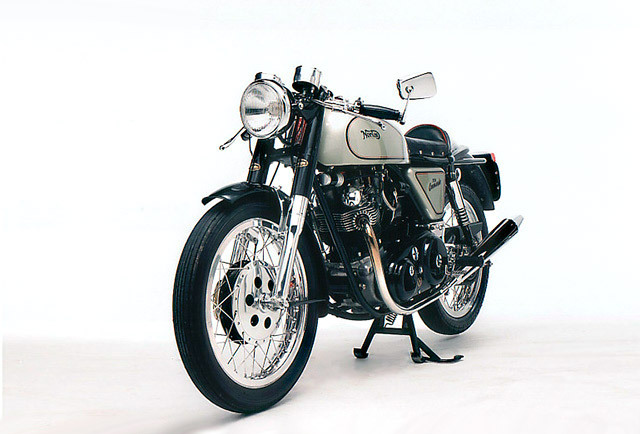 The build started when Shannon found the perfect donor bike – a stock standard but running CB550K. He started by stripping the bike down, and like most café racers, removed everything that wasn't needed. The frame was modified, detabbed and a rear hoop was fabricated. 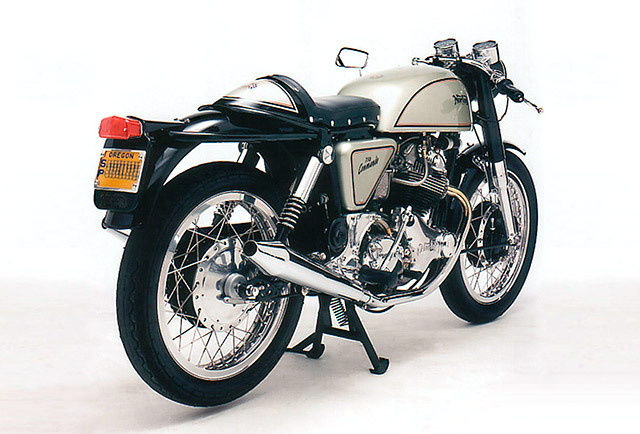 The stock 550cc SOHC inline four engine was reconditioned and then tuned. The stock carbs were replaced with performance Keihin 26mm units. The standard pipes have been swapped with 4-into-1 ceramic coated witha stainless shorty muffler that gives the bike a nicer look and a much better bark. The original CB550 tank has been traded for a Legendary Motorcycles Lyta Sprint tank. To match the lines Shannon hand made a fiberglass seat that sits perfectly with the tank. He also made some special features that aren't as obvious as the tank and seat. "My favorite piece is the one no one ever sees" says Shannon. "The carbon fiber battery tray. I was charging the battery in my GSXR when I got the idea – plastic battery trays weigh less." For a smoother ride, the old shocks have been ditched for 13.5” remote reservoir alloy shocks. As for the front and rear wheels, Shannon chose Lester mags – 19" X 2.15 on the front and 18" on the back. And the front and rear fenders have been custom made from carbon fibre to make them as light as possible. The headlight is a 7" light from our friends at Dime City Cycles and the tail light is an LED unit. Shannon struggled to complete the build in a month, with a young family and only working on it part time he was lucky to finish it in time for the show. He was actually still working on the bike at 2am the morning before. "Building the bike was a blur" says Shannon. "I guess that's what happens when you build a bike in a month and you have a day job. But the response to the bike has been overwhelming."